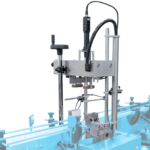 The VS 500 electric capping machine, such as the VS100, can be integrated into a CDA filler to screw different types of caps. It also has a 20″ (500mm) conveyor and can reach a speed of up to 25 products/minute. It has an integrated capper that can screw in gun and pump caps. 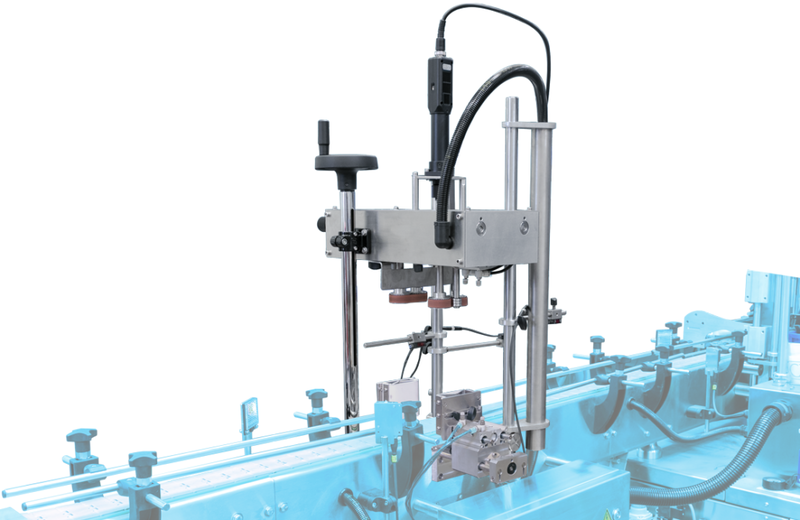 To handle different formats, the VS500 offers a manual height adjustment. Like all CDA machines, this electric capper will be the easiest to use to screw your caps. It suits products in several industries such as chemicals, cosmetics, soaps and detergents.